Garmin Striker Plus fishfinder 5cv with Transducer Reviews - Outdoor Gear World! 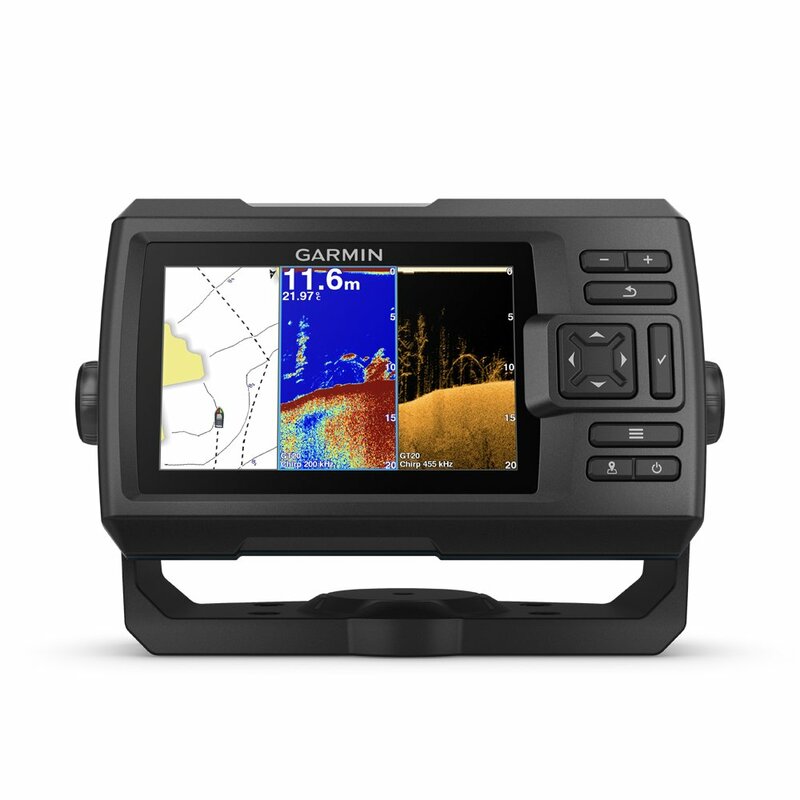 Garmin Striker fishfinder series feature perfect range scanning and mapping services that help the fishermen to locate fishing spots easily. It becomes easier with the help of a Garmin Fishfinder to obtain the map of the whole area under the water in an accurate way. Due to the advanced technology and the use of the high-end features, the fish finder is capable of drawing in all the relevant information and provide a clear cut view of the surrounding area inside the water pond, lake or river or wherever you are looking to find fishes. Understanding the capabilities and features of your Garmin Striker Plus Fishfinder is necessary and would be easy with the following details mentioned here. 9.1 Can we use this on kayaks and small boats for fishing? 9.2 Which advanced technologies the unit offers? 9.3 Is the cable long enough for the transducer and the device to stay connected easily? 9.4 Is this unit waterproof and keep safe from moisture? 9.5 Are there stored maps of it creates as you move? Since the fish finder is intended to provide easy solution while the user enjoys catching up with fishes, it comes with easy to handle design you can grab it safely through it handle which is helpful in keeping the fish finder stable on the dock or a flat surface so that you can view it from any angle without disruption. It is designed giving it a compact structure and the user can hold it safely for instant reading and data viewing when required. The wide display screen and clear visibility are among the most prominent features of this particular Garmin fish finder. To support all fishing environment and humid conditions, Garmin Striker 5 cv comes with a rugged and durable design so that it may not feel flimsy and will provide lasting performance. It comes with the traditional CHIRP technology and clearVu Sonar scanner transducer for quick and accurate scanning process of the surrounding area inside the water body where you need to find your best fishing spots. The sonar technology gathers all the data and the relevant details for accuracy and quicker processing of the data to offer the user the exact location and is capable of giving a clear view without compromising on any kind of details that can be helpful in determining the best fishing spots. Due to the fact, fishermen and hobbyists have to manage their fishing process in varying daylight. Sometimes there is a dim light surrounding the area whereas in some cases people may have to use the fish finder when there is a lot of bright light around. In such cases, your fish finder needs to offer crystal clear display no matter which light conditions are around. Garmin striker 5cv offers a bright and clear display that will surely give the best visibility under any kind of light conditions so that you can view the results safely. And the 5 inches display to make sure you will get all details in a highly visible platform. Due to the fact, Garmin always has provided fish finders focused on user-friendly features, this one comes with a complete user-friendly interface that assures people can navigate through the processes and functions with just one click. You can simply switch the features and functions as per your needs depending on the kind of data you want to view and use. The built-in GPS, clearVu and CHIRP features assure to accurately acquire the surround data within no time and assure to provide accurate locations with least chances of differences. The Garmin Quick draw software help in obtaining and storing the required maps with 1’ contours so that you can view and understand the location without any probability of missing details. This fish finder has the capability of storing and mapping up to 2 million acres of the area when you have to explore it and find the fishes there without losing the information you need. The GPS features assure to help in marking and remembering the waypoints and obtain routes depending on your location. This feature helps in making sure you will never be lost and will be visiting all the required areas and return to your location without any trouble. This also helps in knowing the boat speed to estimate your time and location easily. Can we use this on kayaks and small boats for fishing? Yes, this fish finder works great on any kind of boats you are using for fishing. For Kayaks you will be able to wire the transducer and the device through the scupper which will help in keeping things working fine. Which advanced technologies the unit offers? ClearVu, QuickDraw mapping, CHIRP, and GPS are some of the most advanced features to help you get clear and accurate information to help and understand the location without any doubt. Is the cable long enough for the transducer and the device to stay connected easily? The cable is around 20 ft which is enough to stay easy with the setup and lets you get all data without messing up with the setup. Is this unit waterproof and keep safe from moisture? The unit is safe and may withstand splashes of water easily. Though submerging into water is not good. Are there stored maps of it creates as you move? The device creates a map by receiving data from the surroundings and don’t offer any pre-stored maps though. Overall, Garmin Striker 5 cv offers all the sophisticated features including Quickdraw, ClearVu and traditional CHIRP technology for quick and accurate data processing. This helps in giving all the desired details in a clear way. You can easily navigate through the features to help you get along the area and experience the fishing adventure without messing up with the locations. This could be one of your best buddies if you are looking to enjoy your next fishing adventure.